I don’t always use WordPress, but when I do, I prefer Thematic (and compass-wordpress). Thematic is a WordPress theme framework from Ian Stewart that provides an abstracted API, letting you focus on your site instead of the lower-level minutia of WordPress. I was excited when I stumbled across a couple of projects by Devin Price that let you easily expose an options panel for your theme. 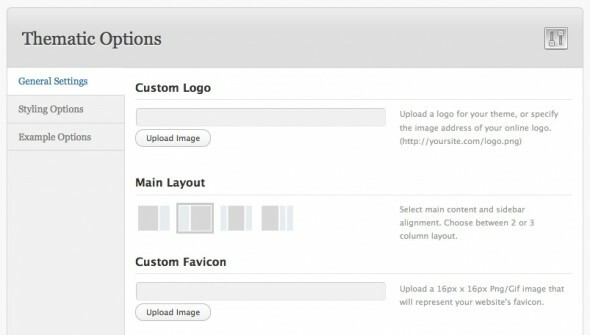 Thematic Options (and the non-Thematic Options Framework) make it easy to add an options panel for your theme settings, letting your end users customize your theme in the WordPress admin panel. Devin has a nice blog post with more info including how to use these values in your theme, along with an introductory screencast.